The real fun with Farming Simulator begins with modifying and changing things. 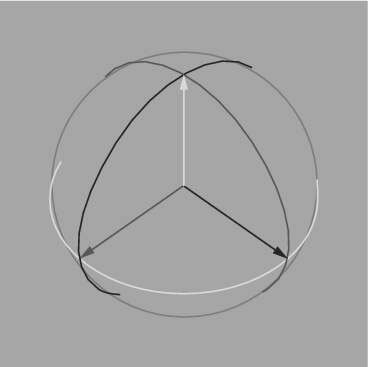 Adjusting the location, rotation, or scale of an object in 3D space is called transforming the object. In GIANTS Editor, the easiest way to transform any active object is with the transform gizmo in the 3D Viewport. The transform gizmo looks like a 3D-axis surrounded by circles. Check out the different ways that you can transform objects in GIANTS Editor. Translation: Otherwise known as moving your object or changing its location. Use the gizmo to translate your active object by left-clicking and dragging one of the arrows on the gizmo’s 3D axis. Rotation: To rotate your active object with the gizmo, left-click and drag along one of its three circles. Another way that you can transform an active object is to scale or adjust its size. Unfortunately, the transform gizmo doesn’t provide the facilities for adjusting scale. Instead, you need to make scaling adjustments from the Transform tab of the Attributes panel. Translate X/Y/Z: These values are measured in meters from the scene’s origin (0m, 0m, 0m). Knowing the units here is especially important when putting an object on a map in a game. It can be pretty disorienting if you expect a part of a building to be 1cm off the ground, but it ends up floating 1m above the ground. Rotate X/Y/Z: These values are measured in degrees relative to the object’s original rotation, which should be (0°, 0°, 0°). Scale X/Y/Z: These values are multiplied by the object’s original scale, which should be (1, 1, 1). So if you set the scale values to (0.5, 0.5, 0.5), then it will be half of its original size. There isn’t any way to lock the three scale values together, so if you want your object to be scaled uniformly, you need to double-check these values and make sure they’re all the same. In GIANTS Engine, the 3D environment is in a y-up world. That is, if you look at the 3D axis, the y-axis points up and down in the world, between the ground and the sky. Think of the plane defined by the x- and z-axis as the ground at sea level. The x-axis points east/west while the z-axis points north/south. You can also select multiple objects at once. The method that you use varies slightly depending on whether you’re in the 3D Viewport or the Scenegraph. 3D Viewport: You can add to the current selection set by Shift+left-clicking multiple objects. There is no way to remove an object from the current selection set, so if you select something incorrectly and you want to stay in the 3D Viewport, you’ll need to redo your selection. Scenegraph: The Scenegraph is much better suited for multiple selection. You can toggle whether an object is part of the current selection set by Ctrl+left-clicking its name. Furthermore, if you click one object’s name and Shift+left-click another name elsewhere on the tree, all of the objects between those two are also selected. Regardless of how you make your multiple selection, the first object you select has a green wireframe whereas all additional selected objects have white wireframes. The green object is the active object, and its properties are the only ones editable from the Attributes panel. Furthermore, transformations with the transform gizmo in the 3D Viewport also only affect the active object. 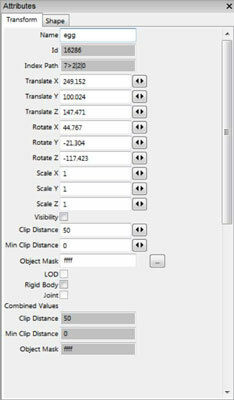 If you want to manipulate multiple objects at the same time, you need to make a new Transform Group and add those objects to it.